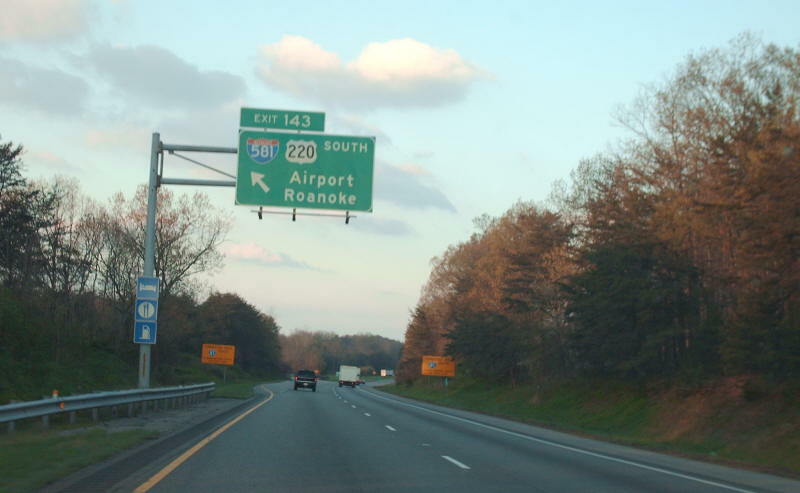 Southbound I-581 ends at the VA 24/Elm Ave interchange in Roanoke. 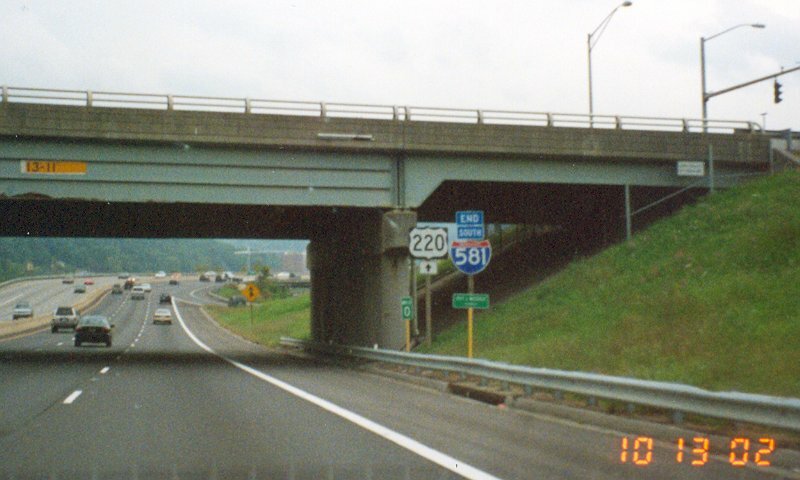 US 220 continues as a freeway for a few more miles. Photo by Adam Froehlig, taken October 13, 2002. 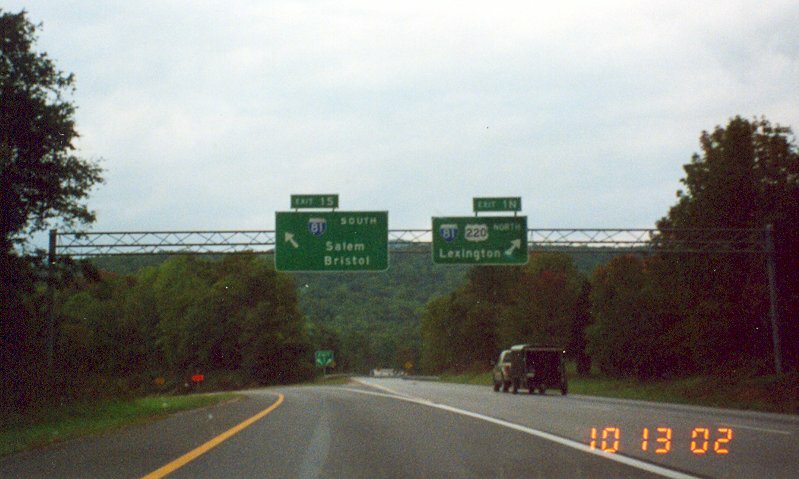 Northbound at the northern terminus, at the split to go in either direction on I-81. Photo by Adam Froehlig, taken October 13, 2002. Following the ramp to go south on I-81, one comes across the stack. 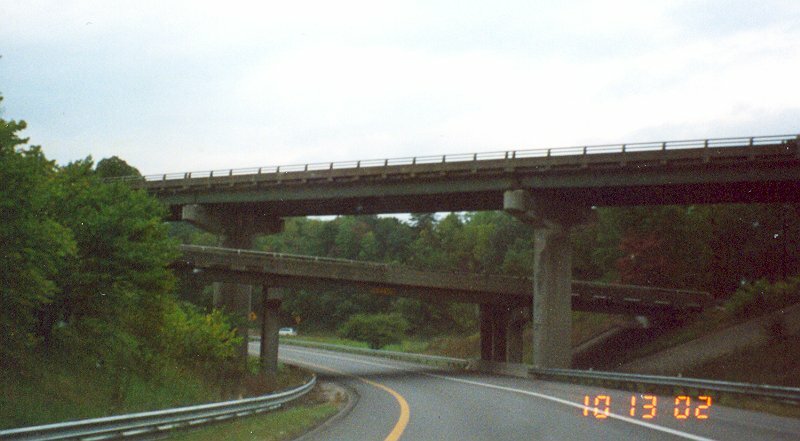 The middle level is for traffic from southbound I-81 to southbound I-581, while the upper level is northbound I-81 through traffic. Photo by Adam Froehlig, taken October 13, 2002. 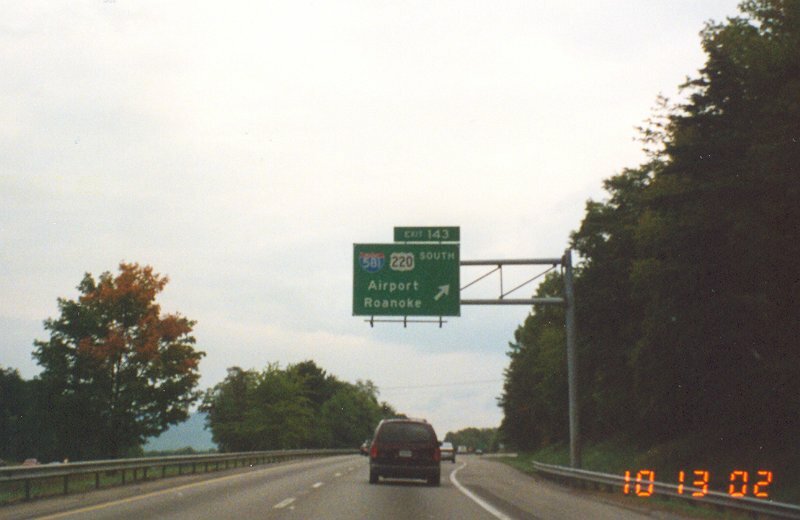 Exit guide sign at the northbound off-ramp from I-81. Photo by Adam Froehlig, taken October 13, 2002. BGS approaching I-581 from I-81 south. Photo by Mapmikey, taken April 13, 2007. 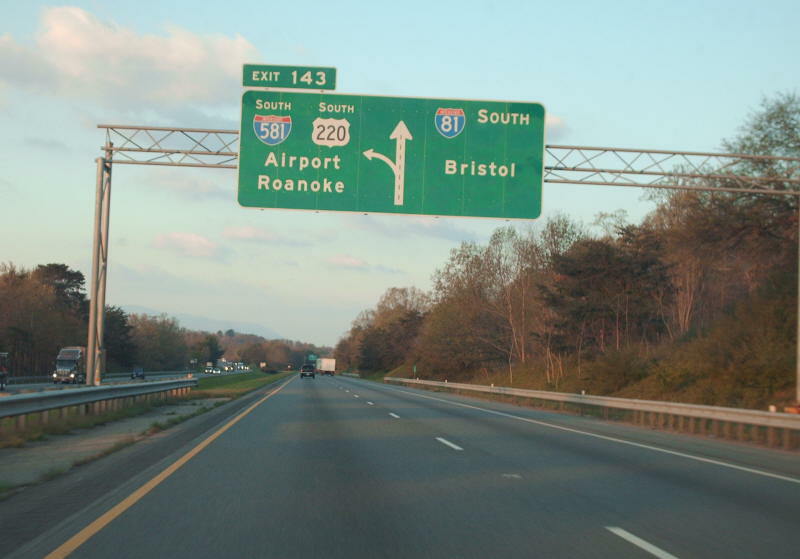 Exit guide sign at the southbound off-ramp from I-81. Photo by Mapmikey, taken April 13, 2007.